I was running out of flour and since I bake a lot of bread I needed some. There is a mill where I sort of know the miller. 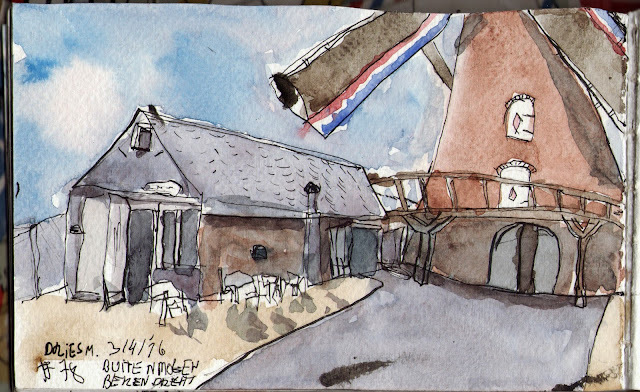 Since the weather was really nice it was the perfect time for a bike ride to the mill for some flour and a sketch. With 21° Celsius and a clear sky I set of on a 23 km bike ride. One hour and a half later I arrived. 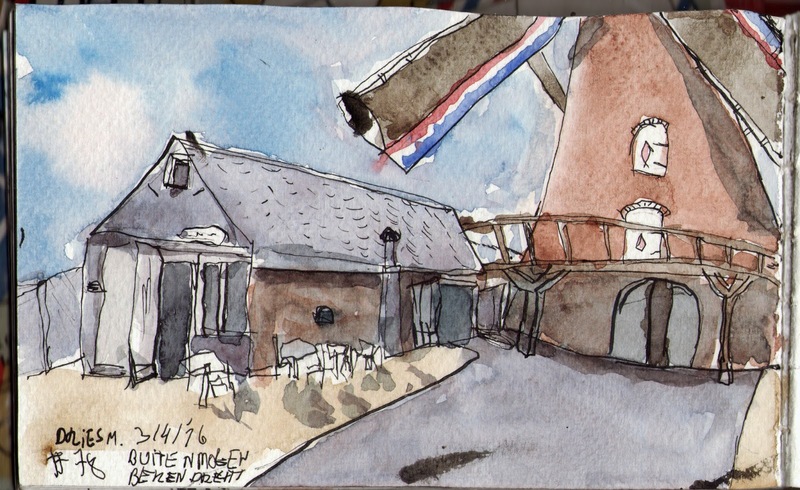 The small bar next to the mill asked if they could get a copy of the sketch to hang on their wall. The ride back was tiring. (I hadn't had a decent meal that day). Nice story, nice sketch Dries.